Robin's Nest was a major success for ITV, running for five years and six series. 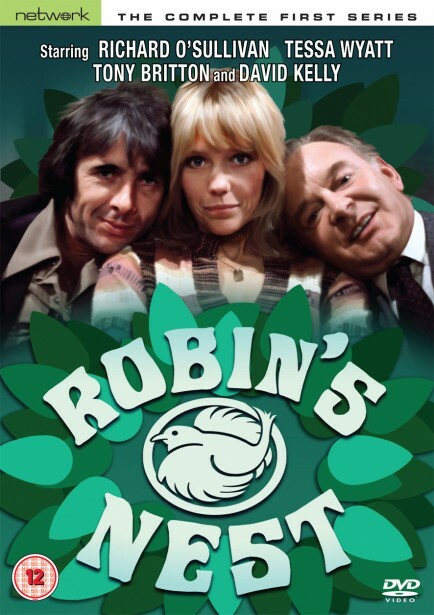 Spinning off from the hit sitcom Man About The House, and created by the classic comedy team of Johnnie Mortimer and Brian Cooke, it charted the progress of erstwhile housemate Robin Tripp and his flourishing (or otherwise) career as a qualified chef running a little Fulham bistro - 'Robin's Nest'. Starring Richard O'Sullivan as Robin and Tessa Wyatt as his girlfriend, Vicky, the series found Robin pursuing his dream project of opening his own bistro... for people who really appreciate high prices. The dream is just about holding up against the constant intervention of Vicky's divorced father, James Nicholls (Tony Britton) – a would-be entrepreneur who also happens to own both the couple's flat and the bistro – along with their disaster-prone, one armed dishwasher Albert Riddle (David Kelly)! This set contains all seven episodes of series one.